Can Amazon, world’s largest online retailer, crack an emerging market? Amazon is here, but it’s content to dip its toes while it waits for regulations to change in its favour. If and when they do, it will still face the task of doing something it has never done so far: crack an emerging market. In just three months, MirchiMart, a Delhi-based online retailer of mobile phones, has seen its business jump by 50%. In the same period, another electronics retailer Universal, which runs 500 stores in South India, has shipped tablets and smartphones to every state and union territory in India. And AXA PDA Lounge, a Bangalore-based retailer of mobile phones and accessories, has seen its business grow by one-third, selling products as far away as Srinagar and Imphal. Behind the increase in sales and reach of these three retailers is their decision to sell their products also via Amazon.in, the Indian platform of the world’s largest online retailer launched in June. While this is doing wonders to their sales, it’s a small step to bigger things for Amazon India, but far from a done deal. 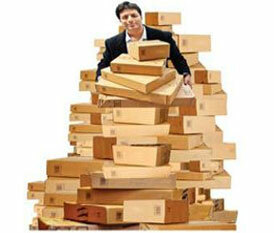 In his 14 years at the 19 -year-old Amazon, Agarwal has seen the company do that, with great purpose, force and results. Before he relocated to lead Amazon in India, the IIT Bombay and Stanford graduate helped build the marketplace business in the US, started its cloud computing business, did a stint with Amazon international and did two years as advisor to Amazon founder Jeff Bezos. He has seen Amazon power ahead in developed markets. And he has seen Amazon move gingerly in emerging markets, hemmed in by rules, local consumer behaviour and local competition. Amazon has been longer in China, which is also a much bigger market. According to Praveen Sengar, research analyst at Gartner, e-commerce in China is a $197 billion market, against $220 billion in US. “China will overtake the US as the largest e-commerce market in a few years,” he says. Besides, adds Aggarwal, these start-ups understand the local market—like lowvalue transactions, cash on delivery and supplying to 20,000 pin codes. “You can’t run retailing in India with executives installed from the US,” he says. “Amazon will replicate what has worked for it in other markets.” In developed markets, what has worked for Amazon is its large product catalogue competitive pricing, good customer orientation, a culture of innovation, deep pockets (it has about $11.5 billion in cash and marketable securities) and branding. In India, too, it will gradually leverage all of this. Globally, Amazon offers products in 40 categories and two million sellers, and draws about 100 million buyers. “Amazon is like Walmart —keep a huge inventory and sell at a low price,” says Anshul Bansal, who quit as vice-president in the investment banking division of Yes Bank in 2011 to become an online retailer of sarees on eBay, another online marketplace. In India, Amazon is currently offering 13 product categories and is planning to add more in time for the festive season. Sengar calls it a “timely entry”. According to Pragya Singh of Technopak, a management-consulting firm, organised, brickand-mortar retail has 7-8% penetration and does not reach small cities. “E-tailing is less than $1 billion at present, with plenty of headroom to grown, in sync with growth of mobile Internet users,” says Singh, associate director, retail, Technopak. Singh believes the tipping point in e-tailing is three to four years away. For now, Amazon is content to build its marketplace model by adding sellers from the pool of 14 million small and medium enterprises in India who have something to sell. That model is what eBay is founded on—it does not own warehouses and products are shipped directly from sellers—and it’s what Flipkart,the largest online retailer in the country today, launched earlier this year. While eBay, which has been in India for about a decade, has 30,000 sellers, Amazon has 500 currently. While sellers can express an interest to be on the Amazon platform, the company decides. “It’s a due diligence we do on the ability of a seller to provide a good customer experience,” says Agarwal. These, typically, include the kind of stock a seller has and its ability to complete an order on time. Amazon does not charge sellers for listing products and has no cap on how many products can be listed. For the first year of its operations, Amazon has also waived its monthly subscription fee and transaction fee (about 10-15% of the price of an item). “Buyer ‘footfall’ is the biggest advantage sellers get on Amazon,” says Dinesh Agarwal, founder-CEO of IndiaMart.com, a business-to-business marketplace. Mumbai-based MX Information Systems has a retail outlet and 14 shop-in-shops or counters in large multi-brand retail stores or malls. It is also a seller on Amazon. Satish Bathija, its director, says that being on Amazon increases the catchment area for its products, helps sell on the back of a global brand, creates trust among buyers, and offers access to Amazon services like payment gateways, shipping and logistics. “We see online business grow faster than offline,” says Bathija.